Chofu (調布) is located in the middle of Tokyo, approximately 30 min. from Shinjuku. It is the city with very old temple and shrines. Many of them are over 1,000 years old. Also, it is the city of "Gegege no Kitaro," one of the most famous Ghost Manga in Japan. The famous food in Chofu is Jindaiji Soba. When you visit Jindaiji Temple, you will find many great Soba Restaurants. Jindaiji Temple has restroom and parking. Fuda Tenjin Shrine: Established in 927. Enshrines Sugawarano michizane. Kohaku Shrine: Established in 588. The building was built in 1828 and oldest building in Chofu. Jindaiji Temple: Established in 733 by Priest Mangu. 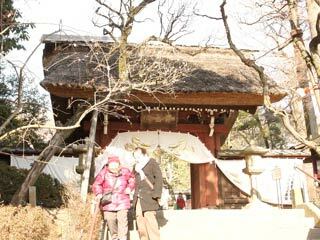 Aoi Shrine: Over 1000 years old. Gionji Temple: Established in 729. Kokuryo Shrine: existed since 1192. Joseiji Temple: Established in Kamakura Period.